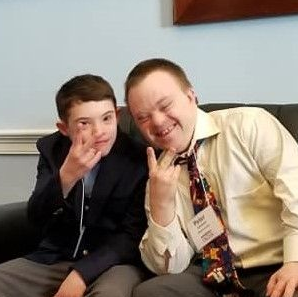 On March 6th, my son and I along with other self-advocates and families walked on Capitol Hill to advocate for the human rights of all individuals with Down Syndrome and shared with our state legislators why certain bills were important to us. You can find out more about those legislative bills by visiting the National Down Syndrome Society here! I sat there watching all of them share their “why” about a bill that was important to them, and it was finally Jacob’s turn. Remember this was the first time, and he enjoyed the opportunity to speak. wanted to go to college“, and then started sharing about Notre Dame and his sister, and his dogs, you see where the conversation was going. 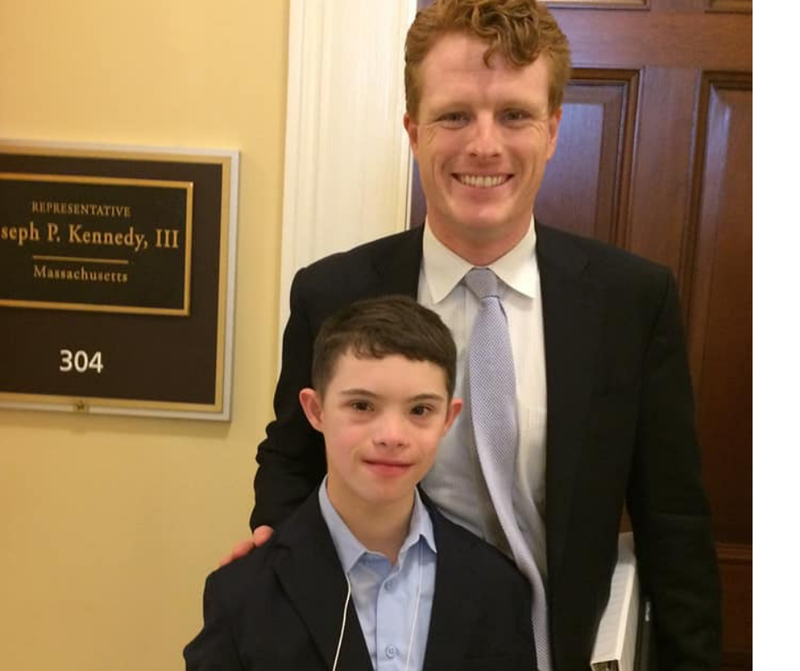 So I tried to explain and he did it, he “sshhed” me right in front of Congressman Kennedy, and said, “Mom I got this“. Well, I did the typical Mom thing I said to Congressman Kennedy “I’m sorry“, and what came out of his mouth was something that made me know he was really listening. Listening with an open heart and open mind and really made me feel good even though I chuckled with embarrassment. He politely said, “don’t worry Mom, he’s just self-advocating“. When I thought about it after the fact it was true! He was self-advocating and although I was slightly embarrassed that quickly turned to pride. Yes, he was, and that is exactly why I brought him to Capitol Hill. To self-advocate, to share his story! 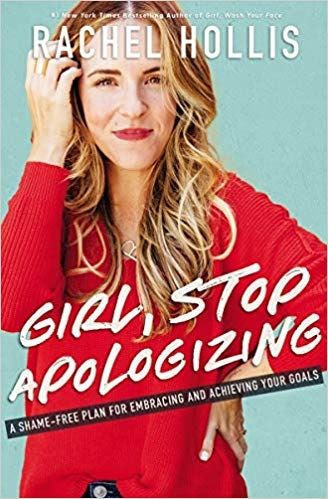 So the point is we Moms of children with disabilities often find ourselves “apologizing” to society for our childrens’ tantrums, loud noises or hugging them. Well, you know what? ENOUGH!!! 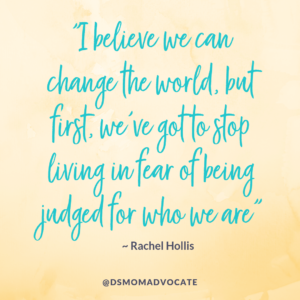 Like Rachel Hollis said in her new book Girl Stop Apologizing, “I believe we can change the world, but first, we’ve got to stop living in fear of being judged for who we are“, and I am taking it one step more and saying we are Mothers of children who are “differently abled”, and we will not stand in the shadows any longer! We deserve to be heard, we deserve to be included and we above all deserve to be RESPECTED! So I encourage you to get out there and show your child how to advocate for themselves, by being their greatest role model in advocating for yourself. 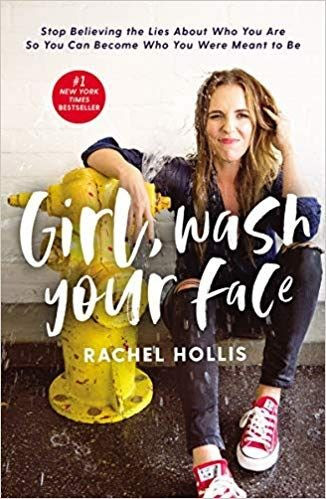 In this book, each chapter tackles a different lie Rachel has believed, the authentic examples from her own life illustrating those lies, and then the methods she used (or wish she had used) to defeat those lies. These are big, vulnerable topics like ‘I Should Be Farther Along By Now’ and ‘I Will Never Get Past This’. Interested in purchasing, click here! The best advice I know of in this situation is, if you want to change someone else, change yourself. People change because they’re inspired by someone else’s example, not because they were coerced into doing it. People change because they see in someone else what’s Probable, not because someone harasses them over and over about what’s Possible. Interested in purchasing, click here!